UTexas, Lockheed teaming up for LANL race? POGO is hearing rumors that Lockheed Martin will be teaming up with the University of Texas System to compete for management of Los Alamos National Laboratory. You may remember that Lockheed bowed out of the competition citing costs last summer, but re-entered the competition as reported yesterday. UT backed out this January. Now it looks like they've been talking behind closed doors. "The UT System welcomes further discussions and dialogue about ways to build on our contribution to the science and security of our nation at the national laboratories, consistent with our core competencies of research and education," the UT system said in a prepared statement." The Army needs more armor, not less. Greater mobility and highly advanced radio networks are fine, but not at the cost of leaving American soldiers more exposed to lethal dangers. The report states, for example, that an armoring shield installed on Stryker vehicles to protect against unanticipated attacks by Iraqi insurgents using low-tech weapons works against half the grenades used to assault it. The Stryker is supposed to be an exemplar of the new FCS creed of faster, less armored vehicles. But instead of proving this creed in the field, experience reveals that more armor is needed. As they say, Fool me once, shame on you. Fool me twice, shame on me. Let's not repeat the mistake of putting our troops unnecessarily at risk by buying into the snake oil of high-tech at the ironic expense of cheap, cost-effective low-tech solutions like armor. The State Department's small intelligence agency, the Bureau of Intelligence and Research (INR), has encouraged dissent for years. Compared to the other intelligence services, its intelligence has had a better track record of success. ...the panel will propose more competitive analysis and information-sharing by intelligence agencies, improved tradecraft training, more "devil's advocacy" in the formation of national intelligence estimates and the appointment of an intelligence ombudsman to hear from analysts who believe their work has been compromised. The net result, according to officials, would be to move away from the intelligence community's tradition of searching for consensus, in favor of opening up internal debate and including a more diverse spectrum of views. The goal is to provide policymakers a fuller understanding of the state of the government's knowledge. For intelligence analysts and others to feel like they can share their opinions which might run against the grain of others, they need to have strong whistleblower protections so they can feel secure in speaking out. In an op-ed, POGO fellows Nick Schwellenbach and Lauren Robinson quoted whistleblower Colleen Rowley, who told Congress, "It is unrealistic to expect that government workers will defend the public if they can't defend themselves." Remember what we said Monday in our post on FCS? Although FCS’s blueprint for transformation calls for a light tanks that can be transported by C-130 transport aircraft, the Army “said this month that they did not know if they could build a tank light enough to fly.” If they do, it’s because tanks–as well as personnel carriers and other vehicles–will “be stripped of heavy armor. In place of armor, American soldiers in combat would be protected by information systems.” One only needs to look at Iraq to see why trucks, not to mention tanks, need to be armored. Here’s how the game works: For example, DOD’s 2003 Selected Acquisition Reports (SAR) notes that the F/A-22 Raptor program’s unit cost decreased by 0.33 percent in the previous 4 months. It failed to show that the program’s unit cost had cumulatively increased by 72 percent in the last 143 months. Likewise, the DOD reported in the 2003 SAR that unit cost for the Stryker Armored vehicle program increased by 1.34 percent in the 2 months the previous quarter’s report. It didn’t show that the program increased by 21 percent over the past 12 months. And here’s another problem with the Pentagon’s reporting system, according to the report. “DOD classifies about 50 percent of the SARs it submits to Congress, despite the fact that only a small amount of data in each of them is actually classified,” the report says. This does not allow congressional staffers without security clearances to look at the data. Which means congressional oversight of the Pentagon’s adherence to established cost and schedule baselines is “unnecessarily constrained,” according to GAO. Okay, so maybe some of you don’t find the fact that the Pentagon tries to keep Congress in the dark as particularly shocking. The sad fact is that with military budgets growing at a quickening pace, now, more than ever, Congress needs all the info and data it can get to make hard fiscal choices. For more on Pentagon number play, see POGO defense investigator Eric Miller's article from the July/August 2003 issue of the Bulletin of Atomic Scientists. We're a little late blogging on this Wall Street Journal article (unfortunately, a paid subscription is req'd), but since it has such great examples of ludicrous secrecy, it's hard to pass up. The story begins with the Catch-22 situation where the government has warned pilots against flying near nuclear power plants, else they will be forced to land by fighter jets. Yet the kicker is this: the government will not let pilots know the plants' locations! This information is given the designation Sensitive Security Information (SSI), one example of the numerous categories of information controls under the Sensitive But Unclassified umbrella (SBU). When some pilots figured the locations out on their own using information at libraries and on the Internet, they placed their work online. The government asked them to take it down citing terrorism concerns. Why ask pilots to avoid flying near nuclear power plants, yet deny them the ability to know if they are? POGO has no idea. It seems quite pointless. The explosion in funding for biodefense research has been controversial. One of the main arguments critics have is that with more researchers and labs handling bioweapon agents (over 300 labs and 11, 000 researchers and growing), the risk of accidents is more likely. Poor management and weak/non-existent oversight of the research exacerbates risk. The Guest Researcher "was not authorized to work on the specific anthrax spore project;"
The Guest Researcher "worked on the project in a laboratory without authorization;"
The "security reviews required to fully implement the Department’s Integrated Safeguards and Security Management (ISSM) initiative at the Laboratory were not conducted for the anthrax spore project and certain other biological projects;"
"The anthrax spores were not adequately controlled and secured. While not a health hazard, dead anthrax spores can cause false positive results in biological detectors. A false positive finding, especially in the current environment, could cause public distress and unnecessary deployment of emergency response resources;"
"Key Laboratory personnel typically involved with biological select agent projects were not aware of the anthrax spore project;"
The Key personnel "opined that the anthrax spores should have been inventoried, controlled, and secured in locked storage when not in use;"
"The Laboratory had a Fiscal Year 2003 performance measure to demonstrate that the ISSM initiative was effectively implemented within the workplace; however, an ISSM security review was not effectively integrated into the anthrax spore project and certain other biological projects." POGO blog readers may recall the incident at Boston University involving tularemia infections last year (neither BU, nor the city government notified the public; the Boston Globe uncovered the story on its own). One similarity between the BU tularemia case and the situation at ORNL is that the researchers in each case were violating procedures in handling the agents. As Jeanne Guillemin, the author of the new book, Biological Weapons: From the Invention of State-sponsored Programs to Contemporary Bioterrorism, told POGO in January, "public trust depends on accountability throughout all levels of government and research institutions." Who will be held accountable at ORNL? The Nuclear Energy Institute and its sidekick, the Nuclear Regulatory Commission, are not in denial about serious security vulnerabilities–they just don’t seem to care and they’re using secrecy to hide legitimate criticism. NRC/NEI intransigence might result in billions lost and thousands of deaths. This Washington Post article outlines the threat posed by the 800-1000 tons of radioactive spent fuel rods stored in pools at nuclear power plants. Funny. NRC claims that the National Academy of Sciences’ report addressing the threat is classified and should not be released to the public, but the NRC response–with detailed rebuttals–is made public. It looks like NRC doesn’t want the public to see the whole story, just NRC/NEI’s side of it. Besides the physical effects, there would a multiplier effect which would magnify the chaos. Psychologically, and in turn financially, the entire country would be devastated. POGO recommended that NRC upgrade its “Design Basis Threat” to deal with a more serious attack than it assumed. NRC has tweaked its DBT, yet it's far from robust considering the risks. And since the Energy Department has drastically improved its own DBT, the disparities between the two DBTs has widened with the needed attention of Congress refocused on NRC’s lackadaisical attitude. There's one other solution too, in addition to higher security standards. The WP noted that "[a]fter cooling for about five years, the rods can be moved to dry storage -- heavy casks of lead and steel." Dave Lochbaum at the Union of Concerned Scientists told the Post that "[i]n the event of a terrorist strike...the dry casks would be much safer, because explosions could drain the pools and set off fire and radiation hazards." A “train wreck ”is what Congressman Curt Weldon (R-PA) is calling it. The New York Times today leads with a story on how staunch congressional supporters of the military are blasting the Army’s mammoth Future Combat Systems program. FCS is supposed to be the Army’s "technological bridge to the future"–a transformation into a networked, robot-laden, highly mobile, and lightweight force. But it is plagued by cost problems and crippling programmatic issues. There are also questions regarding the type of contract FCS is using with lead systems integrator Boeing. Another logjam is the now-$25 billion information network which, if it works, will digitally stitch the Army together. Known as Joint Tactical Radio Systems (JTRS, pronounced “jitters”), the Army halted the first shipment of radios in January. According to the NYT article, the Army’s vague rationale was that the radios “were not progressing as planned.” To be more precise, the Government Accountability Office says the Army has not been able to mature the technologies needed to provide radios that both generate sufficient power and yet meet size and weight requirements. Remember FCS demands that weight be minimized at all costs. If JTRS doesn’t work? Future Combat will fail, General Charles A. Cartwright told the NYT. Since the new force will have less armor, the Army is betting and will depend on JTRS to keep troops out of harms way. The failure of JTRS means our troops will simply have less armor. 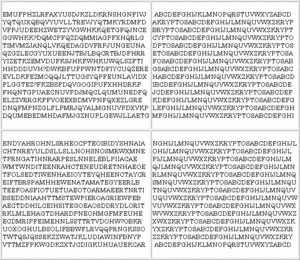 Also, the NYT embeds a nice little nugget: "of 53 crucial technologies...52 are unproven." Questions of price and quality aren’t the only ones nagging FCS. The multi-billion-dollar “other transactions” agreement with Boeing does not afford taxpayers and the federal government the usual transparency and oversight. In fact, POGO disclosed earlier this month that Bolton reversed himself on testimony at the heart of whether taxpayers' interests were being adequately protected in the FCS contract. MORE: What others are saying: Schactman at DefenseTech wonder why it took Rep. Weldon so long to get angry, Kaplan at Slate (via War and Piece) says FCS "may not address the true nature and needs of future combat," and Sigger at Armchair Generalist says FCS is emblematic of "a systematic DOD-wide problem - all the services hide their problems in developing new equipment." GovExec reports on objections to the newest incarnation of an airline passenger screening program. The system, called Secure Flight, does not meet all of its requirements—including criteria which would allow passengers to appeal flight denials and fix errors—yet the Transportation Security Administration still plans to implement the program this summer. Rep. Loretta Sanchez (D-CA), the ranking Democrat on Homeland Security Subcommittee on Economic Security, Infrastructure Protection and Cybersecurity, said that TSA has shirked meeting Secure Flight's ten criteria. Since this is the umpteenth time TSA has attempted a passenger screening system, you'd think they'd get it right after a while. CAPPS and its iterations were torpedoed because of civil liberties concerns. POGO blog readers may recall our entry last fall lamenting the sad state of the dubious "No-Fly" list, among other problems at TSA under former Department of Homeland Security head Tom Ridge. Although the list has snared such "threats" to the Republic as musician Cat Stevens and Senator Ted Kennedy, Osama Bin Laden was not on the list as recently as January 2004! Perhaps one reason TSA hasn't met the criteria allowing passengers to review and fix errors on "No-Fly" lists and in passenger screening programs is because of the convoluted and ill-defined set of information controls in DHS and in the government. The information controls represent a serious threat to openness. Earlier this month, Congressman Christopher Shays (R-CT) held a hearing to examine non-classified ways to keep information secret. These controls usually do not have straightforward guidelines for their use and review. One of these categories is "Sensitive Security Information," or SSI, and it is in use by TSA. The "No-Fly" list is an example of SSI. Last summer, federal judge Charles Breyer ruled against TSA for its (ab)use of SSI, and said often SSI "is by no means sensitive security information; rather, it is common sense and widely known. Defendants have offered no justification for withholding such innocuous information." Though there may be some justification in designating some information SSI, guidelines, checks and balances need to govern its use. Detaining passengers who pose no threat to airlines because of faulty secretive lists doesn't make us safer, it wastes the time and resources of Homeland Security. Fixing the problems in the list shouldn't be prevented by excessive secrecy. MORE: Wired News reports that a new GAO report finds that 9 out of the 10 criteria have not been met. POGO note: The following was written by Everest Riccioni, Col. USAF, Retired. All emphasis is his. 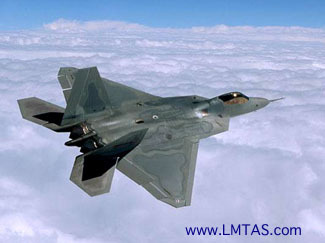 His most recent report on the F/A-22 Raptor, which he refers to in the following can be found here. After reading comments posted on POGO's blog, it is clear that I am not on the same frequency as some of you commenting on the F-22. It is seemingly impossible to change people’s opinions, their preconceptions and misconceptions. Most of my critics missed the coherence of the report as they read. Most of the criticisms should disappear if the report is reread for comprehension and the connections made. Many in our country are now aware that — The F-22 is unnecessary because it is no longer relevant to the current and future enemies of the US. Terrorists are a product of the new state of the world. Our enemies and their motivation have been well defined in the writings of experts— works by CIA operatives Richard Clark, Mike Scheuer, analytical reporter Bamford, Robin Wright, Richard Perle, Hal Lindsay, Zbigniew Brzezinski, and many others, and I agree with their views. My critics merely seek countries that possess fighter aircraft and declare them potentially inimical. Potential does not mean real. Fighters don’t define our enemies, people do! And they no longer need to be national leaders to concern us. Foreign Affairs is an excellent source of information. For 15 years the USAF repeated the mantra — “A new, capable, air superiority aircraft is necessary to protect our ground troops.” That F-22 advocates have come to realize that this role for the Raptor can no longer justify the acquisition and its expense, is proven by the actions of the USAF! To save the program, the mantra is now very seldom heard, and there is a mad scramble to find many new roles and missions, new justifications. Each variation is analyzed in detail in the report. None of the new concepts make sense. “There were contractors for everything. And sadly, often these contractors would work alongside Army personnel who were trained to do the exact same thing, but paid about 1/3rd as much. Once again, if the Army already has something to do the job, why do we need something else to do it, and pay them more? Finally, the saddest thing was the PSD, or Private Security Details. Mercenaries, or civilians paid to bear arms and armor. Doing the exact job of the military, but once again being paid many times what the military was paid. Although many of these civilians were highly trained or specialized, there was enough talk among soldiers who wanted to do their time, get out, and then join these civilian security companies, because they were such a better deal. Not only does this prove how poorly treated our own troops are, but hiring these people actively increases our own recruiting problems.